Remember the brouhaha after last year’s Super Bowl over Left Shark, Katy Perry’s back-up dancer (dressed as a shark) who seemed to be dancing to his own beat? Not only did YouTube audiences go crazy over the video of Left Shark’s singular performance, but Katy Perry’s attorneys went a little crazy over a fan selling 3-D printed sculptures of Left Shark on Etsy. With Super Bowl 50 (that’s Arabic numeral 50, not the traditional Latin numeral L ) just around the corner, this seems like a good time to have a little fun with Super Bowl legal tidbits. And maybe a good time for a primer on how to enjoy “the big game” without riling the NFL! 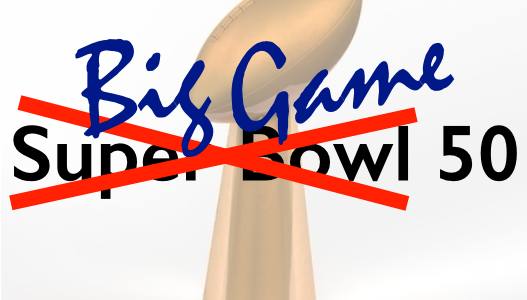 The NFL Bogeyman: You can say “Super Bowl,” but don’t put it in writing! You’re probably not surprised to hear that the NFL is notoriously aggressive in protecting its intellectual property. 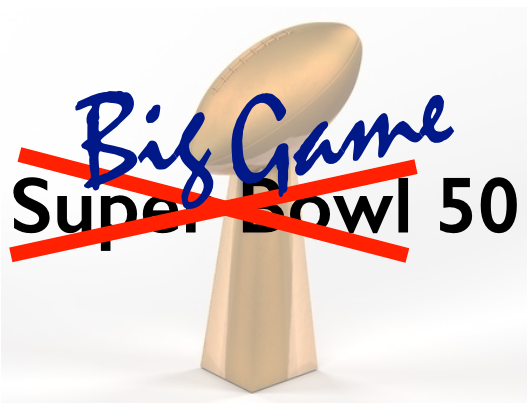 In fact, it has been so aggressive, and so consistently so, that even major businesses go out of their way to avoid using the term SUPER BOWL in their advertising, using phrases like “the Big Game” or “game day” instead. This scenario is so widely known, Stephen Colbert spoofed it two years ago. If you’re thinking this sounds like the NFL is trying to prevent pretty much any use of SUPER BOWL, you’re not alone (just try Googling “super bowl trademark”). But can they really do this? Practically speaking, yes, they can, if those they target capitulate — which many do, whether out of ignorance of the law, or simply not having the money (or time) to spend fighting the NFL. But does the NFL have the legal right to prohibit all these uses? In many cases, no. A trademark is anything that consumers associate with the source, or origin, of a product or service. The idea is that when consumers see the mark OREO on chocolate cream cookies, they can expect the same type of quality as from other cookies with that mark, which differentiates from cookies bearing the mark TASTY BRAND. Trademark infringement occurs when Jane Doe uses a trademark in such a way that consumers are likely to be confused into thinking that some kind of connection exists between Jane Doe and the mark owner. The NFL does have the right to prevent third parties from using SUPER BOWL if the use would lead consumers to believe that the NFL provides or endorses the goods or services with which the mark is used. But that is certainly not the case in many situations in which the NFL has attempted to shut down uses of the mark. 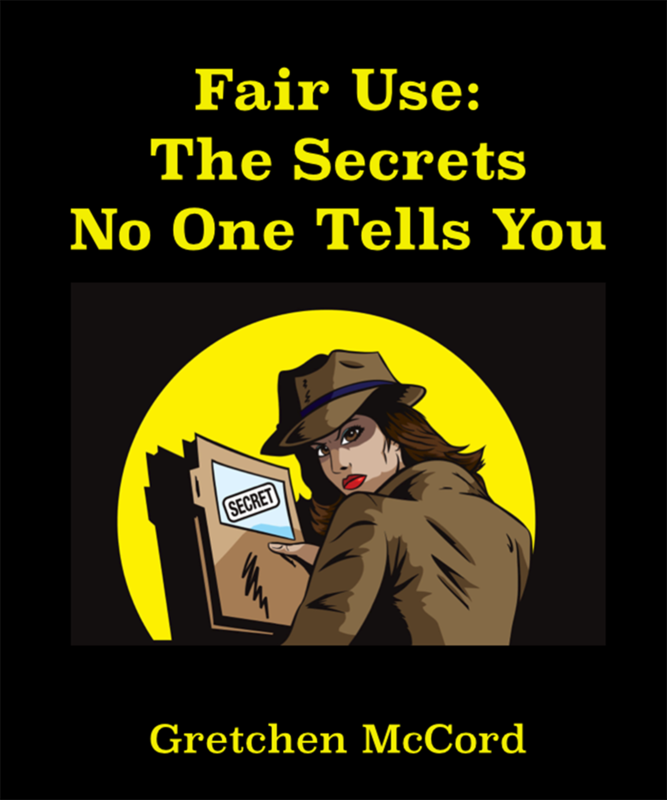 Trademark law even has its own flavor of “fair use,” also referred to as “nominative use:” Basically, you can use a trademark to refer to the trademarked thing. Thus, a bar can legally advertise “Watch the Super Bowl live at Cheers!” (that’s a nominative use), but it probably infringes the mark if it advertises “Cheers is the official Boston spot to watch the Super Bowl,” because consumers who see that are likely to assume some kind of endorsement by the NFL. But wait! There’s more! The NFL hasn’t limited its “trademark bullying” to going after commercial businesses. A few years ago, the NFL sent a spate of cease-and-desist letters to churches planning to host Super Bowl watching parties. And backing down from using SUPER BOWL in their promotions wasn’t enough to satisfy the NFL; at least one church who did so was then threatened with allegations of copyright infringement for showing the game on a big screen. Can the NFL really stop a small church from showing the game live, for free? As it turns out, the NFL does have that right, under certain circumstances. The right to control public performances is one of a copyright owner’s rights. The Copyright Act includes exceptions for several types of performances. In the case of a performance by transmission in an establishment other than a restaurant or bar, performances are allowed if the business (1) is less than 2,000 square feet in size or (2) if more than 2,000 square feet, the audiovisual performance is shown on no more than 4 devices, that are no larger than 55 diagonal inches, and no more than 6 speakers are used. Should you cancel your Super Bowl party?! If it’s a private party is for friends and family, no. From the copyright perspective, a performance is only “public,” and thus subject to control by the copyright owner, if it occurs in (or is transmitted to) a place where “a substantial number of people” beyond a normal circle of family and friends is gathered. From the trademark perspective, you can certainly use the phrase “Super Bowl party.” You can probably even include a Super Bowl logo in a private invitation that you send only to family and friends, because they are not likely to think your party is sponsored by the NFL. But don’t let the NFL find out; just because they don’t have the right to stop you may not keep them from trying!